To have a successful website there are 20 key website features that you need to get correct to really get your business website working for you. Lets find out what they are….. 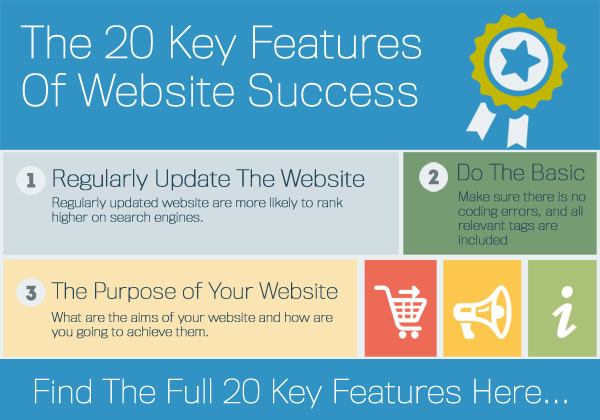 The 20 Key Features Of Website Success – Infographic. 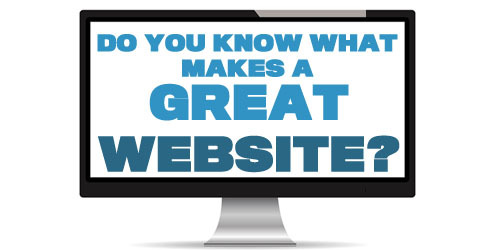 20 Key Website Features You Need To Consider. 1. Can You Update Your Website? Regularly updated website are more likely to rank higher on search engines. If a site is regularly updated it also gives people a reason to come back to the site, sometimes it can take 3-4 visits before someone buys. What are the aims of your website and how are you going to achieve them. Having a plan that you adapt is a must for any website. 3. Is Its Mobile Friendly? Does your website work on all Mobiles, Tablets, and Laptops as well as all Web Browsers. 4. How Fast Does The Page Load? Is it Optimised for fast loading, are you losing visitors because of slow page load times. Load time is a ranking factor for search engines. Do people just visit one page on your website and leave. Lowering bounce rates will not only help you rank higher on search engines, it increases engagement and can help improve sales. 6. How Long Do People Stay On Your Site? Its not only about getting visitors its about keeping visitors on your site. Adding value to visitors will mean there more likely to stay on your website for longer. 7. Is The Technology Up To Date? Does your website use the latest HTML5 CSS3 PHP Technology? 8. How Does It Rank? Are you appearing on Google for the right keywords? Create A plan for the keywords you want to get found for and create a process of how you are going to achieve this. 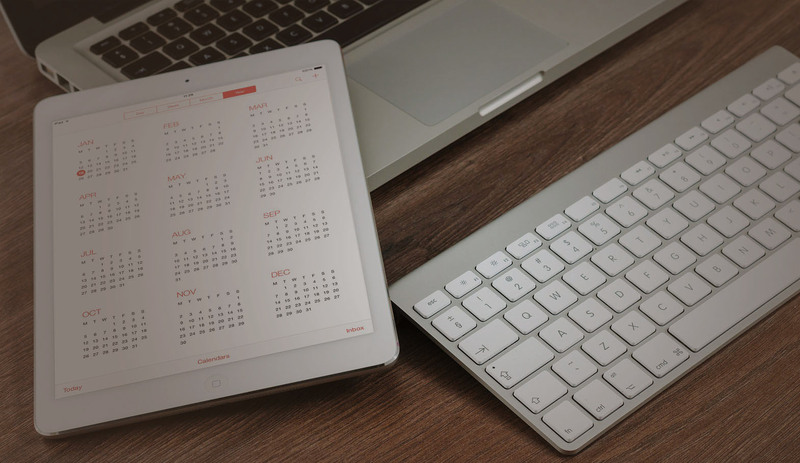 Do you have a plan for your website how you are going to adapt and improve it? You need to implement a short/medium/long term plan for your website that you can develop. 10. Are You Being Social? Do you link your social media marketing in your website? Also do you use social media to drive traffic to your site? One of the most important 20 key website features is tracking. Are you taking note of what your website is doing with analytics? You not only should be taking notes you should be adapting your site and plans with this information. Does your site have a great brand identity? Everyone makes quick judgements your site have 3 – 5 seconds to make the right impression. Does your website differentiate you from you competition? Does it say why people should use your business? Are popups broken links or bad navigation putting people off? These are called noise in marketing things that get between the viewer and the message. Make sure its easy to share your site on social media. Create impact with a great Tagline. Your Tagline should tell people about your business and what it stands for. Make sure there is no coding errors, and all relevant tags are included. Get all the basic right. Get good quality inbound links. These should come from other quality sites and drive traffic to your website. Having thousands of poor links can negatively effect your website. Link all your marketing to your website to drive sales. Add all relevant information and links to your website that you feel people need to know. These can be included in the website footer. Thanks for reading our tips. Why not take a look at our Website design Services. If you have any tips or thoughts on 20 key website features, please feel free to share them below.